I’d like to take this opportunity to personally thank you for visiting my website. My practice is located at the Glendale Adventist Spine & Orthopaedic Institute in Glendale, California. This is a state-of-the-art facility, designed to meet the growing needs of active individuals such as yourself, who may be suffering from musculoskeletal conditions. This is an exciting opportunity for me to be able to provide my patients with the utmost level of orthopaedic care using the latest in cutting-edge technology. My services include Arthroscopy & Joint Replacement of the shoulder, hip, and knee as well as Sports Medicine, Fracture & Trauma Surgery, as well as the treatment of Arthritis. Doctor Micheal Abdulian is one of the most amazing Orthos I have ever met. Coming into Micheal’s office I was greeted with very friendly staff and waited at most 6 minutes. When arriving in the room doctor Mike gave me the overview of my injury so well in a way that made me not worried the slightest. Doctor Micheal Abdulian made my family and I ready for my surgery. It’s thanks to Mike that I can play sports again and enjoy my youth. I highly highly highly recommend this Ortho with no second thoughts. I am so incredibly impressed and in awe of Dr. Abdulian. We were referred by a few different people so we knew the Dr. we were going to would be qualified to diagnose my dad’s shoulder. Not only did my dad receive the highest level of care but he was nice enough to draw pictures and really help him understand the problems he was having. I am incredibly humbled and thankful that we were referred to him. I saw Dr. Abdulian for pain in my knee, he looked at my X-rays and explained the reason of my pain so well. He gave me a cortisone injection in my knee! He had wonderful bedside manner, I recommend him to everybody. My pain is now gone, thank you Dr. Abdulian! 5 stars to Dr. Abdulian! He performed emergency surgery last summer and my arm is good as new! He has consistently followed up with me, been caring and concerned, funny and sensitive. That is as good as it gets. I had the opportunity while hospitalized for the aforementioned arm repair last summer to overhear Dr. Abdulian talking to an elderly, very agitated patient in the next room. 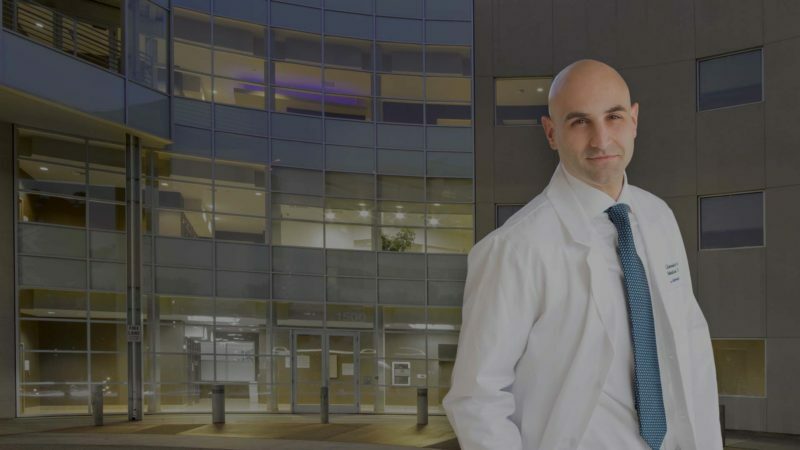 While nurses either ignored or yelled at the patient, Dr. Abdulian took time to talk to the man respectfully, listen to his concerns, and address his needs. I was so impressed! Well done, doc! Dr. Abdulian and his staff have been amazing. He was able to find a solution to my hip pain when others have failed. Pre-op and post-op visits have exceeded my expectations. Dr. Abdulian has taking ample time to explain all aspects of my care. He is honest and trustworthy, I would highly recommend him to others for care. During my visit at the surgery center, I had the best patient care experience I have ever seen. All staff, including anesthesia (Dr. Chang), pre-op and post-op nurses gave the most compassionate care. They were concerned about my long drive home and made sure that I had minimal pain for this journey. I am forever grateful to these professionals. Dr. Abdulian operated my assistant’s broken knee cap which resulted from an automobile accident. His bedside manners were impeccable. Indeed, he took the time to thoroughly explain the extent of her injury, what to expect before and after her surgery and had excellent follow up. She recovered much faster than the anticipated time. Caring, skilled; a win win combination, I recommend him without hesitation! Professional and kind doctor. Came for a foot fracture and he explained it well, gave helpful advice and had excellent follow-up. Dr. Abdulian was extremely caring, knowledgeable and has a great personality. He made my son feel very comfortable. After taking few X-rays he confirmed there was a crack in his elbow and put a cast on for three weeks. I was so pleased and relieved that I found a caring and intelligent Dr. My son was so happy that he was finally pain free. The nurses are very nice too and the clinic is very clean and pleasant. Thank you Dr. Abdulian, you really are a gem and I am glad I found you. He took care of my dad better than any other doctor i can remember (and unfortunately my dad has been in the hospital before). The surgery he performed was successful, and he has made sure my father followed (and still follows) all of his recommendations to lead to the best recovery possible. We are blessed to have found Dr. Abdulian, and we will forever be in his gratitude. He is awesome, careing and wonderful. Thanks Doc for everything! I went to see him for my rotated cuff pain in my left shoulder. His friendly staff received me promptly. Minnie and Anthony took care of my insurance and Jennifer was very nice and kind taking care of all my questions and reviewing my medical history. Dr Abdulian came promptly into the room… addressed all my concerns and questions and made me feel very conformable and at ease with the procedure that I was about to have done… The cortisone shot was painless he is wonderful. I would highly recommended him to my friends and family! Most of the time you only hope to go to this kind of doctor and surgeon. I am so grateful for his kindness, care, skill, and expertise. He is truly “THE MAN” and the only doctor to go to for any Orthopedic issues. It has been 3 months now since my surgery and and I feel fantastic! I am also grateful for Dr. Abdulian’s amazing and helpful clinic staff at the Orthopedic Institute at Glendale Adventist. I am forever grateful…thank you Dr. Abdulian!